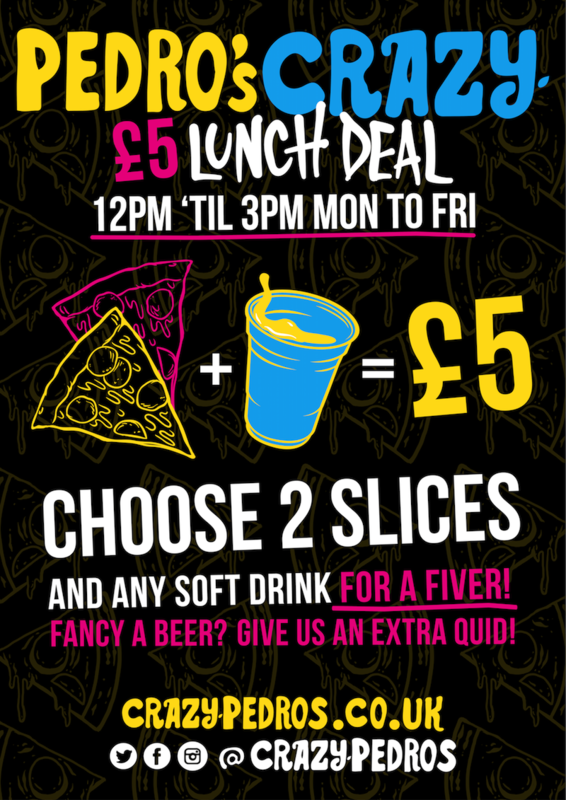 Grab our £5 lunch deal – 2 pizza slices, with a soft drink. Grab a beer for an extra £1. 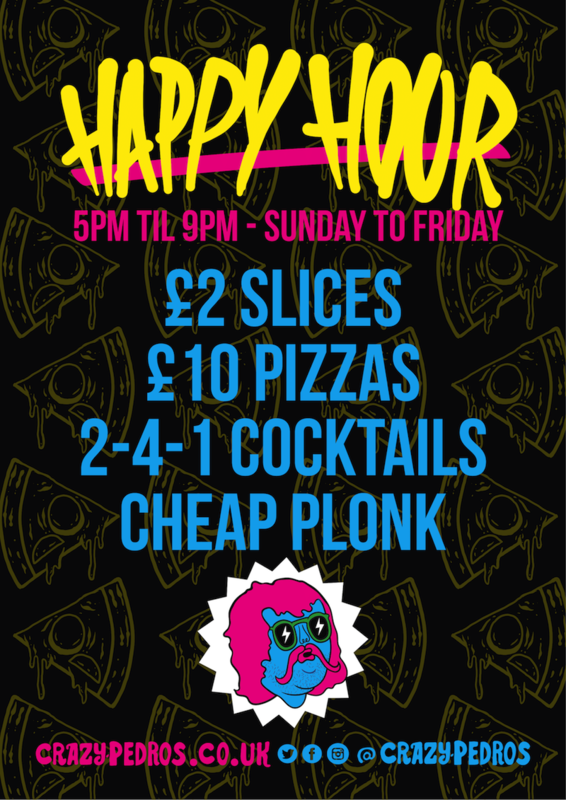 After work happy hours from 5pm to 9pm Sunday to Friday, 2-4-1 cocktails, £2 slices, £10 pizzas and cheap plonk!